Dome Clear plastic. Snap-on fit. Union Emergency Cover designed for use with cylinder operated mortice deadlocks with turn on the inside. Supplied with self adhesive vinyl sign and fixing screws. 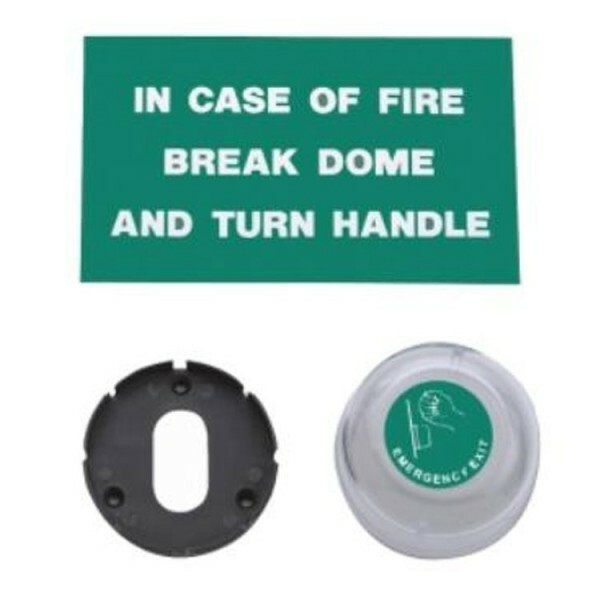 In the event of an emergency, access to the turn lever can be gained by breaking the clear plastic dome cover.